The Fight Mafia (TFM) - The official blogspot. : Nick Diaz - F*ck what you think (Part 1). Nick Diaz - F*ck what you think (Part 1). Posted: by T.F.M. Staff / Written: by N. Brooks. March 13, 2013. In April of 2009, I started the clothing brand (The Fight Mafia) in an 8x10 space in my basement. Two hundred dollars ($200) and one t-shirt is how I founded The Fight Mafia (TFM) brand apparel. 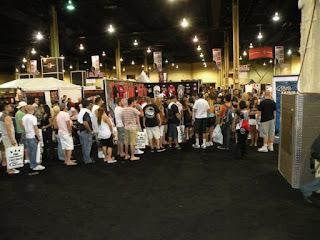 Three months later (July, 2009), still operating out of my basement, “The Baddest Man on the Planet” did for me what I refer to as “a solid.” In July of 2009, I decided to participate my brand in the first ever UFC Fan Expo at the Mandalay Bay Convention Center in Las Vegas, Nevada that coincided with UFC 100. At that point I had only sponsored four athletes; Sam Stout (UFC 97), Dan hardy (UFC 99), Chris Horodecki (Ultimate Chaos), and Nate Diaz (TUF Season 9 Finale). Everything I did was on the tightest of budgets. I invited all four athletes to appear in TFM’s UFC Fan Expo booth space. Each fighter’s management specified that hotel and flights had to be paid in order for their athlete to make an appearance in TFM’s booth except for Nate Diaz. Nate Diaz’s manager Cesar Gracie notified me that Nate’s accommodations were already taken care of and that Nate would appear in TFM’s booth if he had time between commitments. Nate was already contracted to appear in the official UFC booth as well as the booth of multi-million dollar brand “Ecko.” I must state that Dan Hardy declined to accept his flight being paid for and drove on his own dime from Los Angeles to Las Vegas to appear in TFM’s booth (Dan’s my homeboy). Chris Horodecki was unavailable due to prior commitments and I was very appreciative that Sam Stout and Dan Hardy were committed to appear at TFM’s booth and Nate Diaz as well would try his best to attend. Nick Diaz couldn’t have been nicer to both TFM employees and to the fans. I kept asking him if he needed anything and he always politely replied “I’m okay, thanks.” Nick Diaz appeared at TFM’s booth for approximately four hours signing autographs and taking pictures with fans and when the Fan Expo ended, he made sure he stayed late and that everyone in line got a picture and an autograph. Imagine how that made me feel, I was a $200 brand with one of the world’s greatest athletes sticking his neck out for me. Keep in mind; I had never met Nick Diaz before that day. To say I was honored and appreciative would be a huge understatement. To top it all off, after Nate Diaz finished his appearance at the UFC booth, Nate spent about 30 minutes at Ecko’s booth (which was directly behind TFM’s booth) and then spent the last 2 hours of the Fan Expo's Day 1 at TFM’s booth and also stayed late until every fan got what they came for. So for the last few hours of Day 1 of the UFC Fan Expo, we had both Diaz brothers appearing at TFM’s booth at the same time. It was nothing short of a mad frenzy! For two guys who have been referred to as “classless thugs” in the media, both Nick and Nate Diaz couldn’t have been nicer gentleman or more professional. Random thoughts, experiences, and written swagger from the creators, exhibitors, and enthusiasts of "Organized Grind." The Fight Mafia (TFM) is an exclusive lifestyle brand built for life's conquerors. Succeed or die mentalities. Fight inspired fashion. At first impression you know that this isn't just another "Lifestyle Brand." It is an entity redefining how we connect and or unify by transcending the limits that life has imposed upon us (i.e. Mafia). A brand that caters to those individuals willing to confront, struggle, and fight through life's trials, tribulations, and adversaries otherwise known as the daily grind. "Blue Collar" hustle infused with "White Collar" dreams - offering no apologies. Fabrics composed from perseverance and constructed for purpose of empowerment. 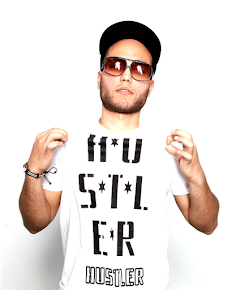 Hustler's ambition personified through fashion. "Organized Grind" is the innovative sub-culture that unifies us... The Fight Mafia - "Everyone's a gangster." More than a Mohawk - Dan "The Outlaw" Hardy Part 3. Pacquiao vs. Bradley - What the f*ck? Bone Thugs-N-Harmony - The Art of War 3. Nick Diaz - F*ck what you think (Part 2). More than a Mohawk - Dan "The Outlaw" Hardy Part 1. ©Copyright. All Rights Reserved. The Fight Mafia Inc. 2009 - 2014©. Powered by Blogger.